Arcturus is conceived to enlighten your creativity and awake your true potential. This soundset is like having the real analog Prophet-5 with al the rich tones, swells and with the extra flexibility of the software. Arcturus is heavily influenced by the works of Boards of Canada, Trent Reznor, Atticuss Ross and Solar Fields. Formed by dirty and lush leads and pads, stranger and original keys, large and dark soundscapes, powerful analog basses and bassloops, faulty and unstable synths going slightly out of tune and captivating science fiction effects. 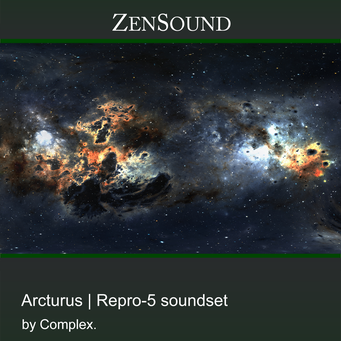 All of this makes of Arcturus the state of the art soundset for making filmscore, synthwave and Berlin school kind of music.